COLUMN: After the celebrations, what follows? We just honored the life and legacy of the Rev. Martin Luther King Jr. It was the right thing to do, as it is every year. But now that it’s over, the time for sober reappraisals is here. This failure is true not just for the King holiday, but for almost every other commemoration meant to improve our individual and collective lives. It can be a sad catalogue. Christmas comes and goes, but we don’t appreciate the descent of heaven to Earth (even if we are not religious we want to see the miracle of the season). Veterans Day rolls around, and we are no closer to restoring a normal life to returning combat veterans, what we crave more than anything else. On Labor Day we think that nobody works, which makes us forget the millions who work but don’t make a living wage. We congratulate ourselves because we are free, but when the Fourth of July explodes, liberty and justice for all (let me repeat, “for all”) are just as evanescent as the fireworks. We decorate soldiers’ tombs on Memorial Day as we prepare for more war and more tombs. At Easter, we celebrate the triumph of life over death, as the opioid epidemic, mass shootings, gun violence, and the teen suicide rate undermine our hopes. “But wait,” you say, “we are making progress on all these fronts.” True, but not good enough. Not for me. My dissatisfaction has deep roots. In the summer of 1963, I was working at a Rio Grande Valley fruit packing shed in 100-degree heat. It was “August 28 and I left work because I didn’t want to toil anymore for $1.05 an hour, which even then was not enough. I went home, turned on the little black-and-white TV and watched the Rev. King deliver the “I Have a Dream Speech.” In that moment, King became my hero. What this meant for me was that I expected him to very soon come and lead the oppressed Mexican Americans of south Texas into the promised land — democracy, civil rights, equality, nondiscrimination. Just like he was doing for black folks. King would join forces with Cesar Chavez, the fellow disciple of Mohandas Gandhi and with Chavez save the Chicano farmworkers from the slavery of the fields. He would do all of this with God on his side. In 1967, the farmworkers in Starr County, the poorest county in the nation, went on strike for higher wages. The growers called in the Texas Rangers, little more than hired goons at their beck and call. Ranger A.Y. Allee, the Bull Connor of south Texas, led the effort to suppress the strike. I expected Dr. King to descend on Starr County at any moment and defeat Allee with nothing but moral force. It didn’t happen and it still hasn’t happened. I was and still am bitterly disappointed. It would have meant so much to us if he had come to Starr County. But that’s in the past. I am unhappy because the present-day guardians of his legacy have not learned what he taught. They ignore the grossest violation of human rights that we commit now, the mistreatment of refugees seeking asylum. Dr. King would not ignore that. 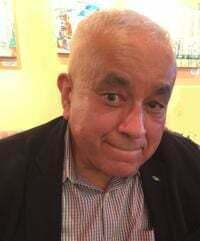 Joe Barrera, Ph.D, is the former director of the Ethnic Studies Program at UCCS and a combat veteran of the Vietnam War.